Halloween is becoming my second favourite holiday. There are so many decorating and fun ideas that go with this occasion. A girlfriend of mine is very environmentally aware and I took her queue with the decorating for the Halloween costume party that we invited our friends to. 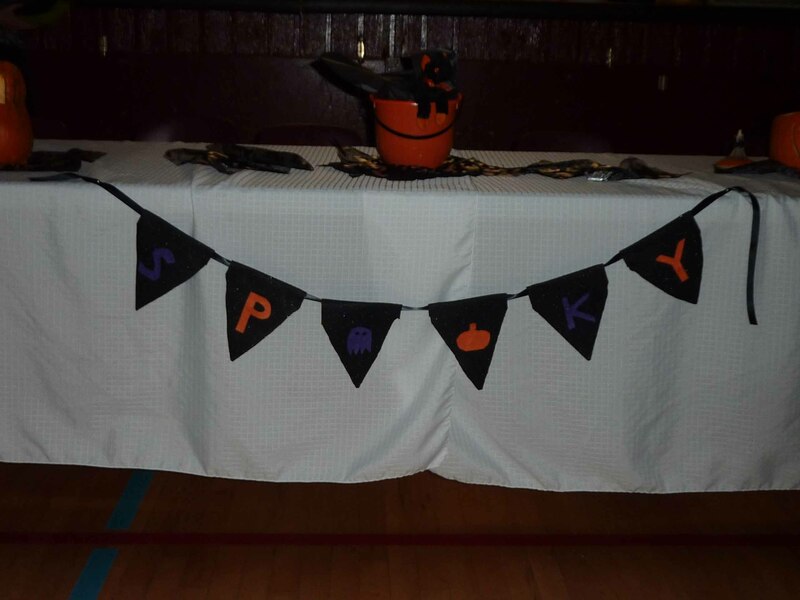 I wouldn’t consider myself to be crafty in terms of sewing, but with a little help from some friends, I managed to sew a runner, get help with a tablecloth and make a banner out of felt that was made from recycled materials. Instead of paper plates, cups and cutlery, each guest brought their own, which cut down on unnecessary waste. While it may not have had an impressive cake or fun crafts, I will look back at this party and recognize that it was part of my party evolution in making an effort to be kinder to our environment. Here’s what I learned from making this banner: buy felt at a department store or dollar store, not a fabric store at four times the cost. As I don’t have a sewing machine of my own, I used fabric glue, which worked well. 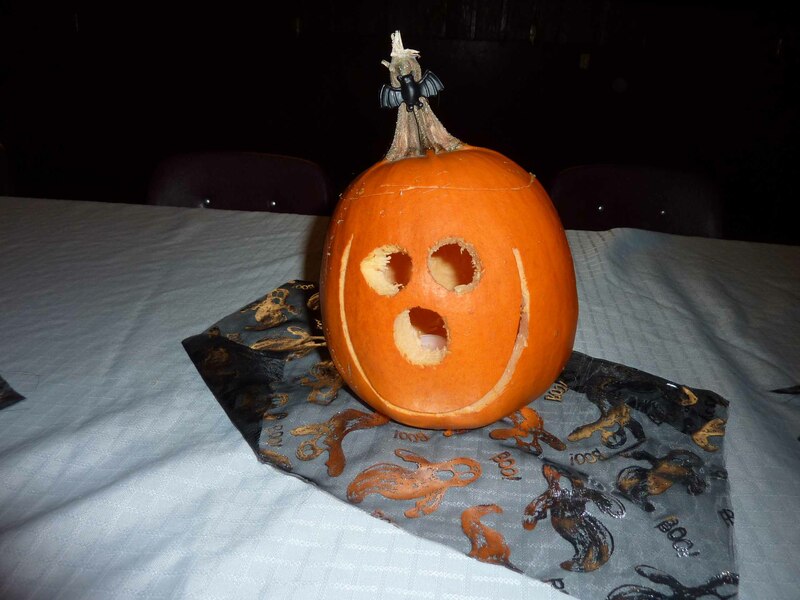 Turning a pumpkin into a Jack-o-Lantern for a party decoration works three-fold: it’s so much fun carving pumpkins (for kids and adults), it works as a festive centerpiece, and after the party you can use it for baking. A number of my friends and myself like to try recipes from Weelicious as it has some great and healthy pumpkin recipes.